H085. 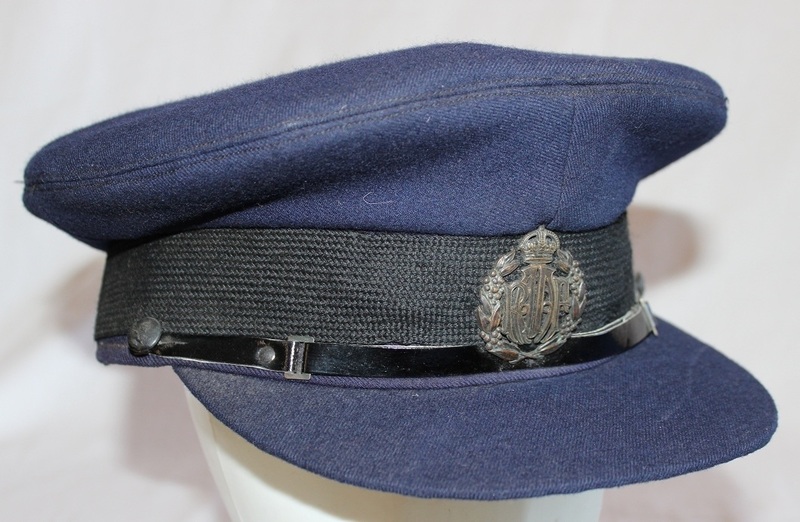 An unnamed late war or immediate post war airman's service dress cap with an oxidised metal badge. 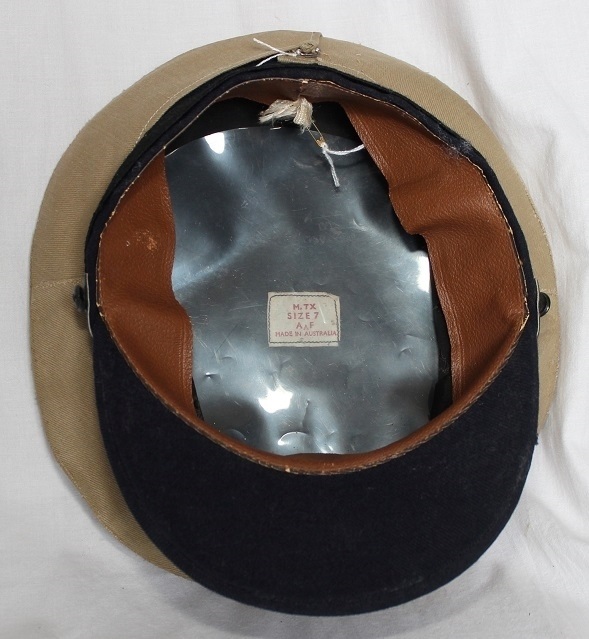 The cap is lined with a black material with a thick plastic cover and has a white label sewn to the crown marked MTX A arrow F, the underside of the peak is blue cloth and the leather chinstrap is held in place by 2 plastic RAAF buttons. H085. 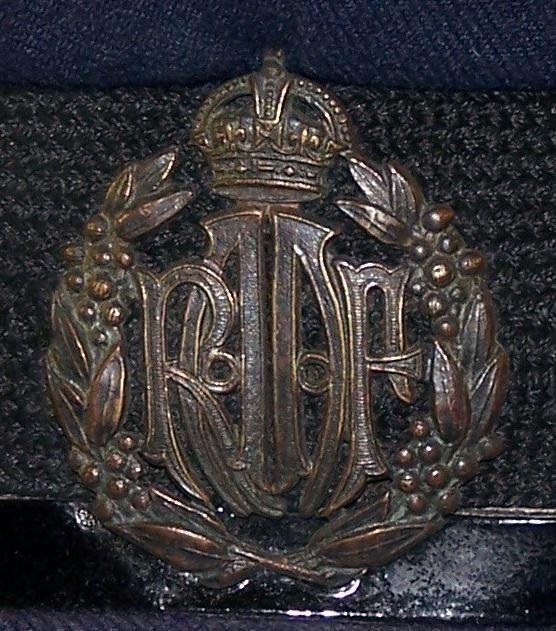 An oxidised metal airman's cap badge. H085. The liner showing the black cloth, plastic cover and white label. H085. 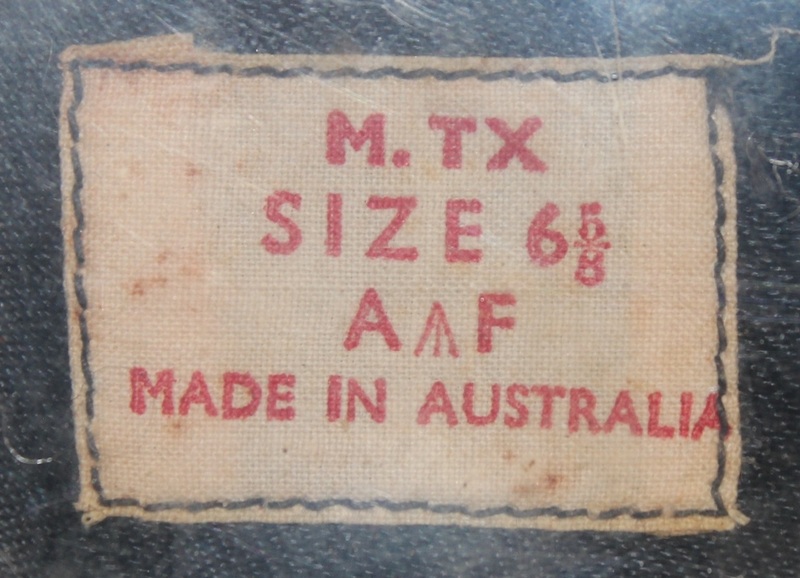 The white cloth label stitched to the crown with M.T.X. Size 7 1/2 A arrow F and Made in Australia printed in red. H125. 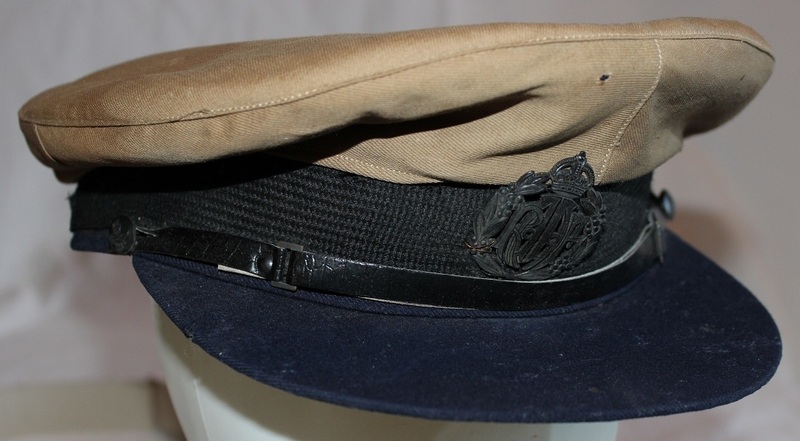 An unnamed late war or immediate post war airman's service dress cap with an oxidised metal badge. 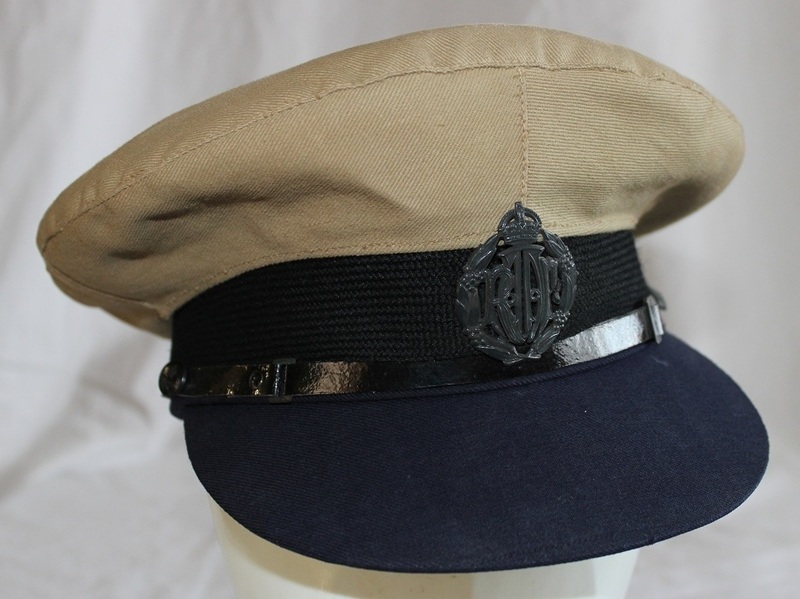 The cap is lined with a black material with a thick plastic cover and has a white label sewn to the crown marked MTX A arrow F, the underside of the peak is blue cloth and the leather chinstrap is held in place by 2 plastic RAAF buttons. H125. 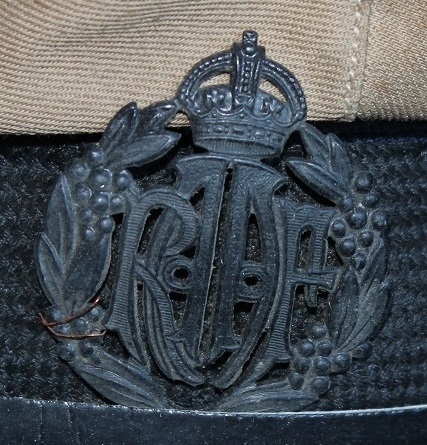 An oxidised metal airman's cap badge. H125. The liner showing the black cloth, plastic cover and white label. H125. The white cloth label stitched to the crown with M.T.X. Size 7 1/2 A arrow F and Made in Australia printed in red. H191. 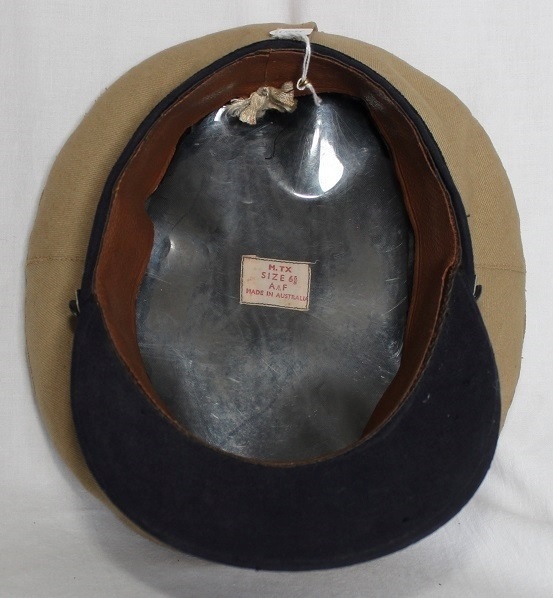 An unnamed late war or immediate post war airman's service dress cap with an oxidised metal badge. 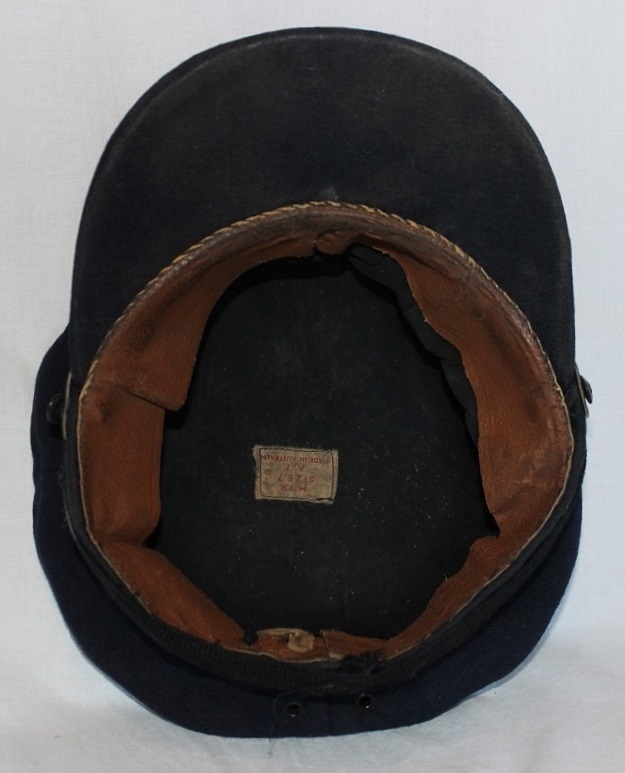 The cap is lined with a black material and has a white label sewn to the crown marked MTX A arrow F, the underside of the peak is blue cloth and the leather chinstrap is held in place by 2 plastic RAAF buttons. H191. 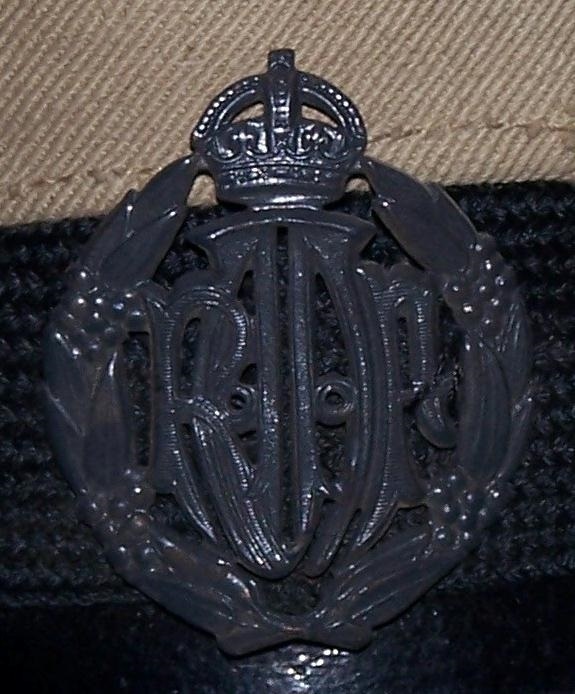 A ranks oxidised metal cap badge. H191. 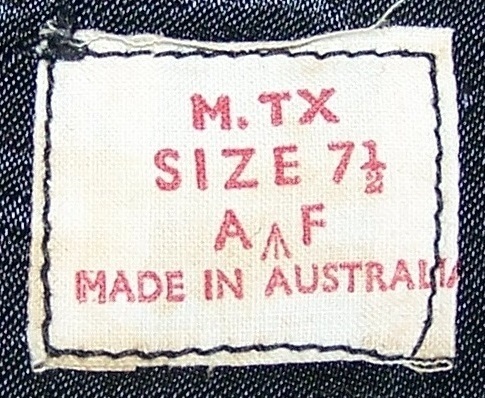 The liner showing the non quilted fabric and the MTX label. H191. The white cloth label stitched to the crown with M.T.X. Size 7 A arrow F and Made in Australia printed in red. H353. 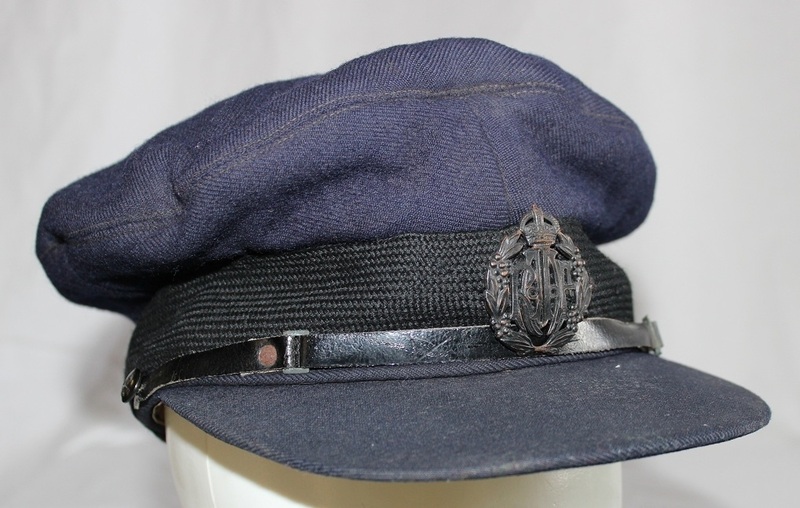 An unnamed late war or immediate post war airman's service dress cap with an oxidised metal badge. 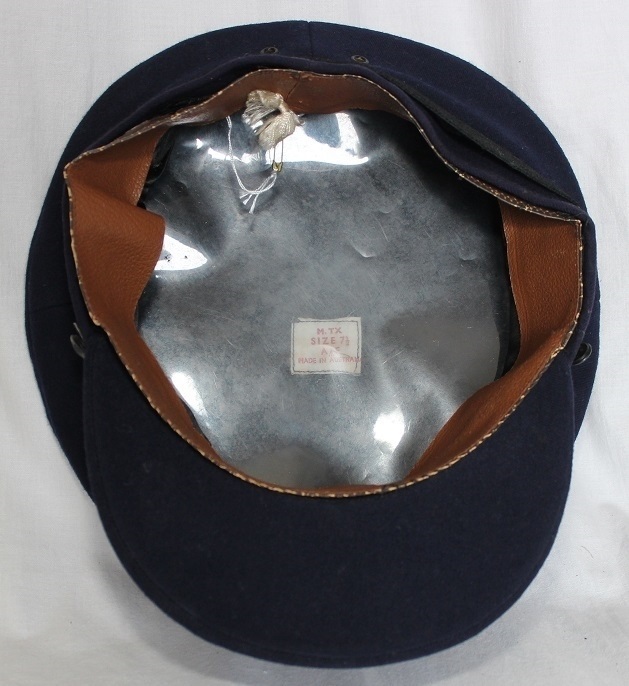 The cap is lined with a black material with a thick plastic cover and has a white label sewn to the crown marked MTX A arrow F, the underside of the peak is blue cloth and the leather chinstrap is held in place by 2 plastic RAAF buttons. H353. 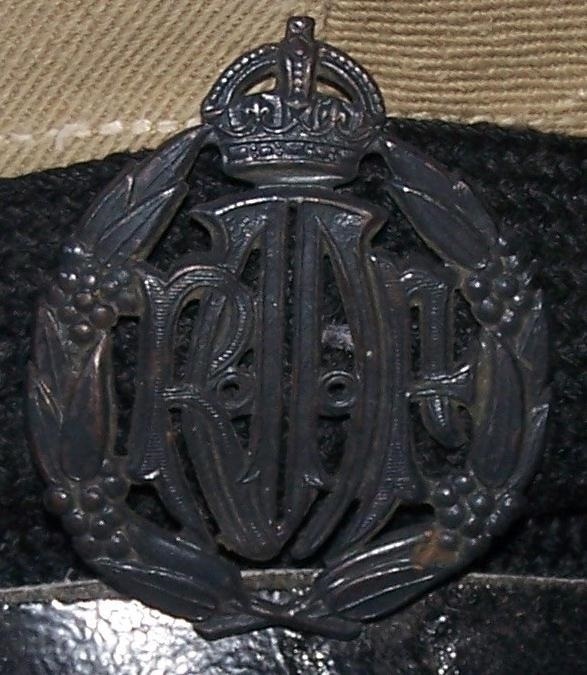 A ranks oxidised metal cap badge held in place by wire. H353. The liner showing the black cloth, plastic cover and white label. H353. 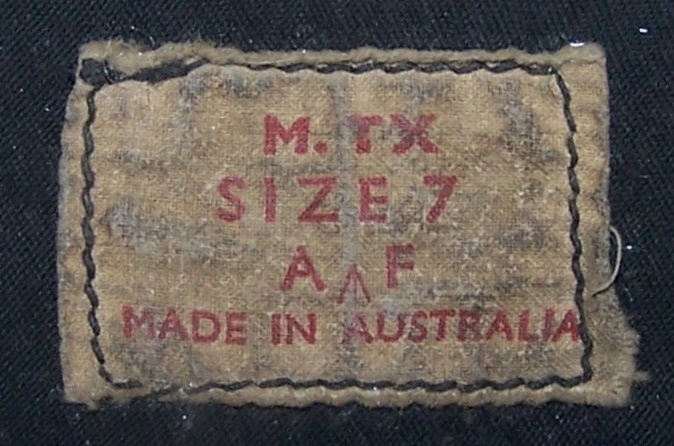 The white cloth label stitched to the crown with M.T.X. Size 6 7/8 A arrow F and Made in Australia printed in red. H368. 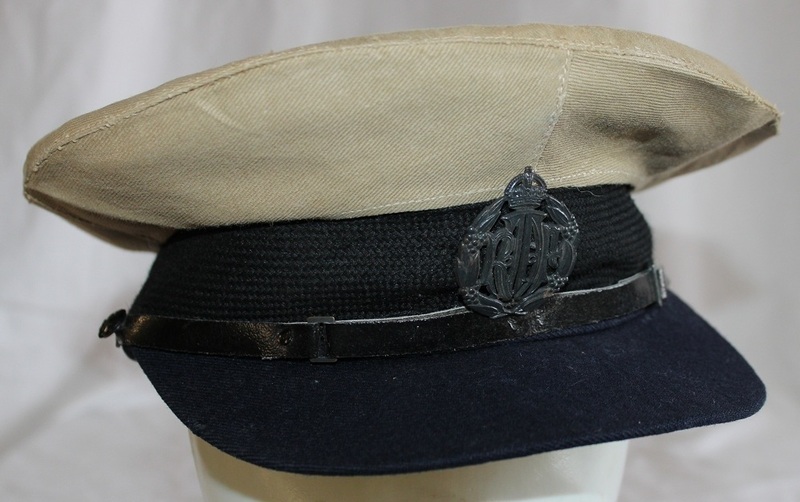 An unnamed ranks service dress cap with an oxidised metal badge. 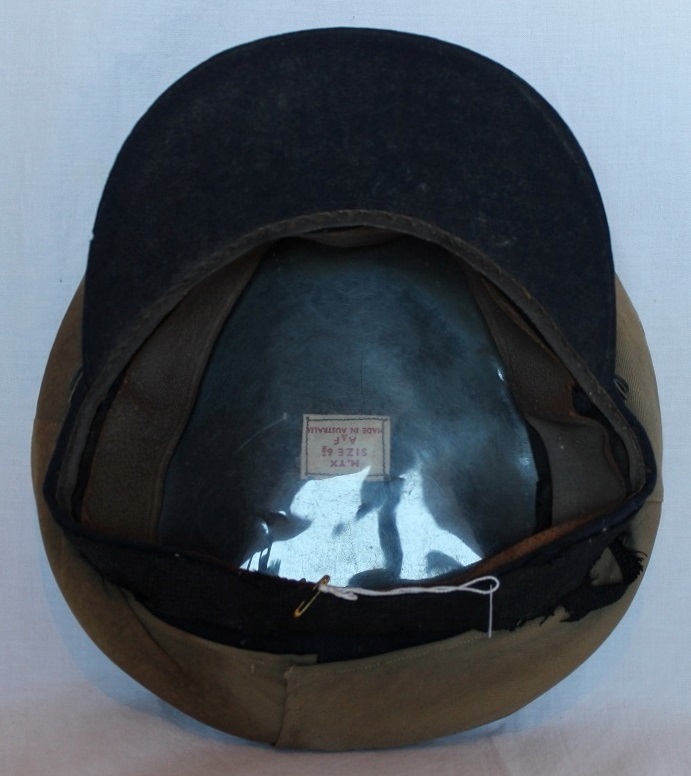 The cap is lined with a black material covered by a thick plastic sheet and has a white label sewn to the crown marked MTX A arrow F, the underside of the peak is blue cloth and the leather chinstrap is held in place by 2 black plastic RAAF buttons. H368. 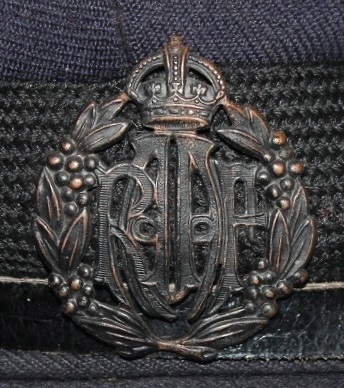 An oxidised metal ranks cap badge wired to hat band. H368. The liner showing the black un quilted cloth and white label. H368. 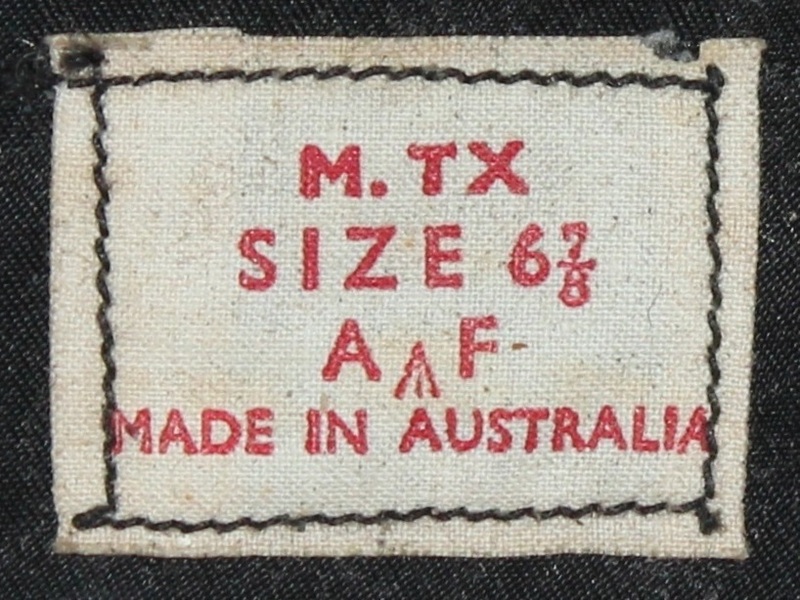 The white cloth label stitched to the crown with M.T.X. 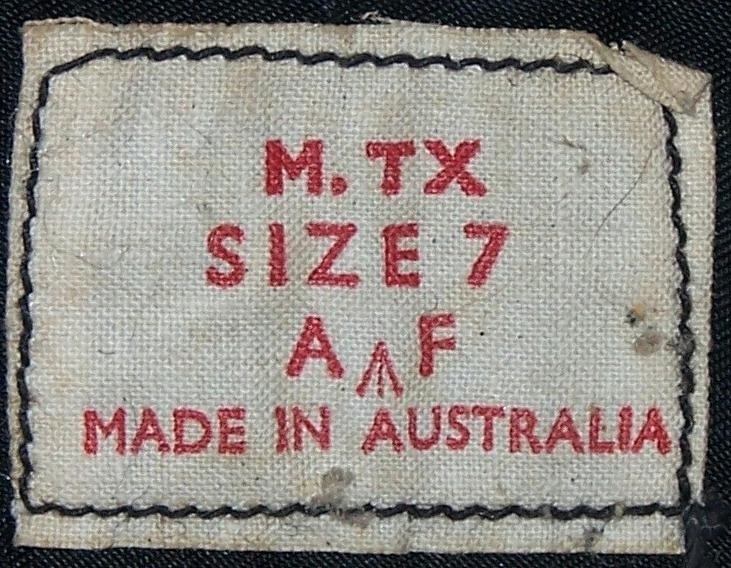 Size A arrow F and Made in Australia printed in red.